Welcome to HevyDuty's Armory! This page is for armored vehicle fanatics who enjoy diesel fumes, the rumbling of main gun rounds, and the sound of tank treads on the move!!. 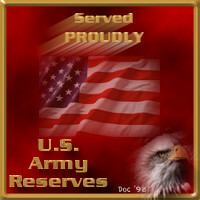 I was stationed in Friedberg, Germany from 1986 to 1988. 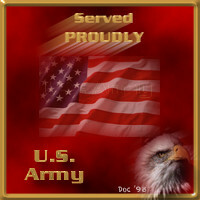 I was assigned to Bravo Company, 2/67 Armor Batallion, 3rd Armor Division, The Iron Dukes. I was my C.O. 's driver on the M1 IP. When returning stateside, I joined the Army Reserves as a Tank Commander/Instructor, in the 3/338/3, 85th Division Training, The Custer Division. Our mission was to push recruits at Basic Training on the M60A3 tank. I, myself, am able to drive, and shoot, the M48 series, M60 series, M551 Sheridans, and up to (and including) the M1 series tanks. My function in training was Intelligence. I taught Vehicle and Aircaraft Identification, and the identification of small arms and utility vehicles used by the Warsaw Pact. Most links on this page are to armor-related sites. From military posts to weaponry used by our armed services to the sacrifices of those valiant men and women who boldly served and are still serving, there is a link for you. As this page is under constant upgrading, please come back often to check my tank trails!! Just a little something from my duffle bag!! Webcounter targets you as hit number to blaze HevyDuty's Tank Trails !! This Grunt webring owned by HevyDuty. Want to join the Military Control Center Web Ring?